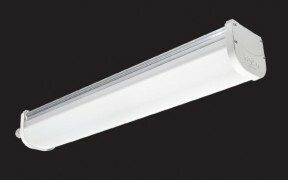 We added to our catalog a new LED luminaire : ADHI. Waterproof lamp characterized by its mechanical strength thanks to its extruded aluminum body and polycarbonate diffuser. The lamp is equipped with last generation LED technology that ensures the best performance and energy efficiency. Adhi is a lamp designed especially for the ideal to replace the traditional fluorescent tube, now obsolete and inefficient industrial sector. Replacing old lamps with this model guarantees higher performance of the light beam with an energy saving around 50%. Adhi can be installed using different methods of fixing: ceiling, wall, suspended. Applications: indoor and outdoor environments. Industrial Buildings, parking.